In the spirit of the holiday weekend - even though freelancers like myself never have weekends - I would like to share a treatment of the recently ascended Pope Francis from an Argentine variety show called Peligro sin Codificar (roughly translatable as “Uncoded Danger,” as opposed to, say, “Code Red”). While the program leans toward heavy-handed caricature rather than wit and wordplay in the style of Tom Lehrer, the so-called “Cumbia Papal” has become an Internet sensation, depicting churchly figures taunting neighboring Brazil to a cumbia beat. Clad in cardinal red robes, the keytar-playing singer and his backups praise the new Argentine pope – many expected the first Latin American pontiff would be Brazilian – and the skills of Argentine soccer players like the retired Diego Maradona and present-day sensation Lionel Messi, supposedly superior to the legendary Pelé. 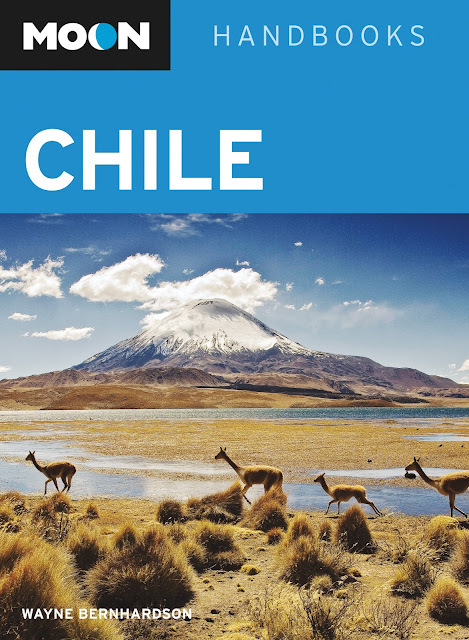 In about ten days – April 9 at 7:30 p.m., to be precise – I will offer a digital slide presentation on travel in Chile at the Los Altos Library (13 S. San Antonio Road, Los Altos 94024, tel. 650/948-7683). Coverage will also include the Chilean Pacific Islands of Rapa Nui (Easter Island) and Juan Fernández (Robinson Crusoe), as well as southernmost Argentina (Tierra del Fuego and the vicinity of El Calafate) that appear in the book. I will also be available to answer questions about Argentina and Buenos Aires. The presentation is free of charge, but books will be available for purchase. Over more than three decades of work and travel in Latin America, this is one of my least favorite times of the year. That’s partly because, as I’m usually in South America from late October or early November, I’m anticipating a spring return home in time for the baseball season, but also because Semana Santa (“Holy Week”) holidays present an obstacle to updating guidebooks – many offices and services are closed, and high hotel occupancy rates make things more expensive, at least for a few days. It’s also because the whole Holy Week story is such a grim and morbid tale even when, as in Guatemala (which I used to cover for Moon Handbooks), it can also be an extremely colorful event. That’s one reason why secular Uruguay, which does not officially recognize Holy Week is such a breath of fresh air – there, ever since 1919, it’s been Semana de Turismo (Tourism Week) . 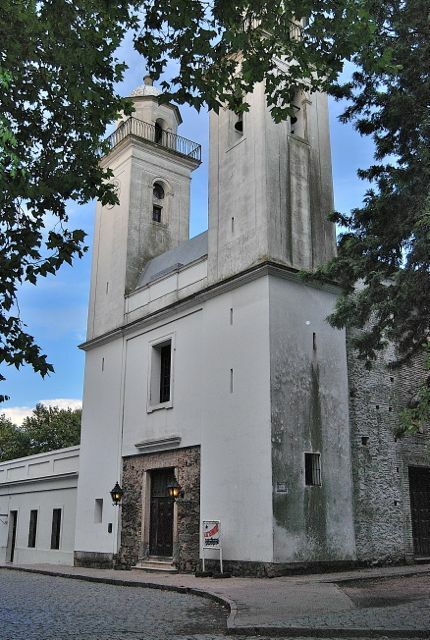 To be sure, there are plenty of churches in the country (such as Colonia's Iglesia Matriz, above), but President José Mujica put things in perspective the other week when he and his wife Lucía Topolansky declined to travel to Rome for the appointment of the new Pope Francis. According to Topolansky, as quoted by Buenos Aires Económico, “We are not believers,” though Mujica’s vice-president Danilo Astori did travel to Italy. Continuing on the theme, Topolansky emphasized that “Uruguay is an absolutely secular country…In that we are different from the rest of Latin America. We hold a great respect, there is freedom of religion... 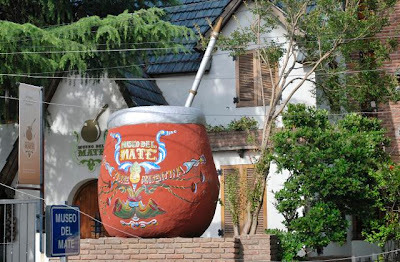 Since the vice-president is a believer, the president thought it more appropriate for him to travel.” In another interview, Mujica added that the only things he had in common with the new Pope were “tango and mate,” the bitter herbal tea that both Argentines and Uruguayans sip in prodigious quantities (as suggested in the photograph above, from the Buenos Aires suburb of Tigre). 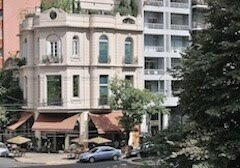 In exactly two weeks – Tuesday, April 9 at 7:30 p.m., to be precise – I will offer a digital slide presentation on Chile in the Los Altos Library (13 S. San Antonio Road, Los Altos 94024, tel. 650/948-7683). Coverage will also include the Chilean Pacific Islands of Rapa Nui (Easter Island) and Juan Fernández (Robinson Crusoe), as well as southernmost Argentina (Tierra del Fuego and the vicinity of El Calafate) that appear in the book. I will also be available to answer questions about Argentina and Buenos Aires. The presentation is free of charge, but books will be available for purchase. Many times recently I’ve touched on the topic of exchange rates and, in that regard, I have to say that it’s so much easier to write on Chile or Uruguay, whose juridical and macroeconomic stability make it relatively simple to inform potential visitors of what they’ll encounter. Argentina, though, is a challenge, and there’s always the risk that details may change between the moment I finish writing and the time I post it. Still, it would be negligent of me to ignore Argentina’s 20 percent surcharge on foreign travel – including airline tickets and tour packages - that the AFIP tax agency decreed that even non-resident foreigners will now have to pay. That’s not quite so alarming as it might sound at first: if you’ve purchased your plane ticket and other services before leaving home, it will not affect your travel within or beyond Argentine borders. If, however, you purchase a flight or other service that takes you beyond Argentina – say, for instance, the Buquebus ferry to Colonia or Montevideo – the Argentine provider will charge you that additional 20 percent. Cross-border bus trips, to Brazil or Chile for instance, will be at least 20 percent dearer than those to Argentine border towns. That’s significant because, even if you have changed your foreign currency on the so-called “blue” market, where the rate skyrocketed above eight pesos this week, the ticket will cost you 20 percent more than the official rate of five-pesos-plus. That’s still a pretty good deal, as the breach between the official and informal exchange markets approaches 70 percent, but it’s obviously not so good as it was before. It’s a really bad deal if you’re using a credit or debit card, as you’ll be paying the official rate. 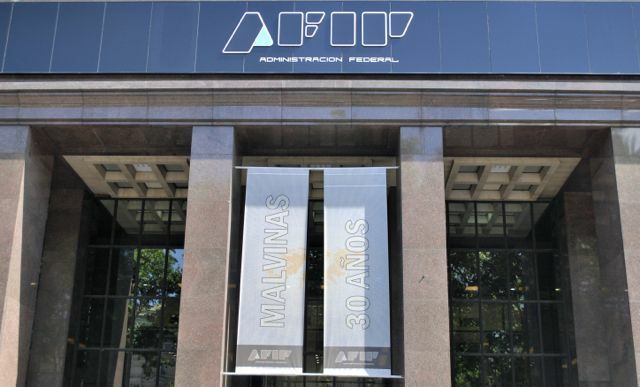 In theory, AFIP will reimburse you for your trouble. When Argentines fill out their annual tax returns, the 20 percent surcharge will supposedly be deducted from any balance due and, if there has been an overpayment, they will get refunds. The same applies, in principle, to non-resident foreigners, with AFIP stating that they will be reimbursed for the full 20 percent. To me, that falls into the “I’ll believe when I see it category,” and I would also be reluctant to provide the personal information – my US Social Security number – that AFIP is asking for. That’s the scenario at present but, as matters advance or regress, I will do my best to keep readers informed about a country that continues to make things up as it goes along. Early next month – Tuesday April 9 at 7:30 p.m., to be precise – I will offer a digital slide presentation on Chile at the Los Altos Library (13 S. San Antonio Road, Los Altos 94024, tel. 650/948-7683). Coverage will also include the Chilean Pacific Islands of Rapa Nui (Easter Island) and Juan Fernández (Robinson Crusoe), as well as southernmost Argentina (Tierra del Fuego and the vicinity of El Calafate) that appear in the book. I will also be available to answer questions about Argentina and Buenos Aires. The presentation is free of charge, but books will be available for purchase. 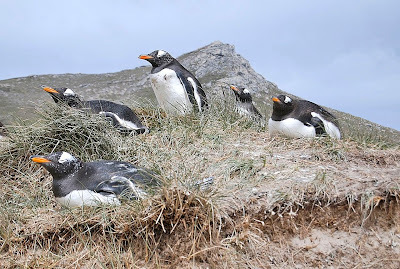 In early 1986, shortly after arriving in the Falkland Islands for my dissertation research under a Fulbright-Hays fellowship, my wife and I took a hike into the hills west of Stanley, the Islands’ capital and only town. Hoping to glimpse the panorama of Stanley Harbour and the East Falkland countryside, we ascended the flanks toward the summit of the 1093-ft (333m) Mount Kent but, as we approached, we found our way blocked by polite but firm British squaddies. After the 1982 conflict in which Argentina invaded the Falklands, only to be dislodged after 74 days, the mountain had become home to a Royal Air Force radar station that was not open to the public. Whether the squaddies would have been quite so jovial had they known my wife was an Argentine – she traveled to the Islands on her US passport – I rather doubt. 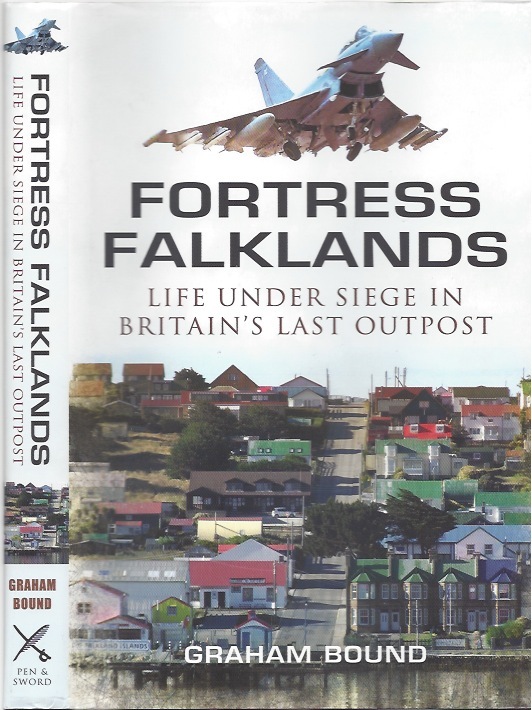 Still, I couldn’t help thinking of that when, as I read Graham Bound’s Fortress Falklands, the author bemoaned his lack of access to the British military command and the RAF’s Mount Pleasant facilities, which also serve as the Islands’ international airport. It’s not as if Bound might be an Argentine agent – Falklands-born, though he now lives in London, he’s served as a military correspondent for the BBC and has worked in far riskier environments such as Afghanistan. Certainly he has the credibility to make judgments on the Islands’ defenses without giving away any confidential material but, as the sensitive 30th anniversary of the Argentine invasion approached, he apparently got stonewalled and had to rely on retired military contacts and his own online research for that specific topic. That’s unfortunate, but it barely detracts from a book which, despite a rather sensationalist subtitle (“Life Under Siege in Britain’s Last Outpost”) focuses as much or more on a distinctive people who have inhabited their insular homeland for up to nine generations. In fact, he is one of them, descended from a family that arrived in the 1840s; he founded Penguin News, the Islands’ only newspaper, and there’s probably nobody better qualified to present an insider’s viewpoint while simultaneously providing an outsider’s critical observations. 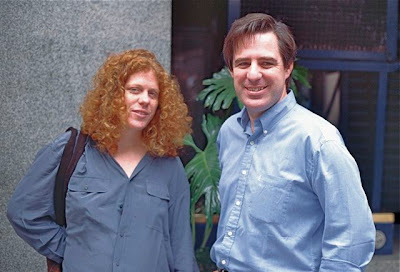 He is also a longtime acquaintance of mine; though I haven’t seen him face-to-face since 1995, when he made a speaking tour to present the Islanders’ case to Argentines (as pictured below, with fellow Islander Janet Robertson in Buenos Aires), we have remained in somewhat irregular communication. Since the 1982 war, the Falklands have become a prosperous place, thanks to maritime fishing licenses, tourism and (potentially) oil, but Argentine president Cristina Fernández de Kirchner’s irredentist jingoism continues to trouble a population that would welcome a constructive engagement with a country that, among other measures, has prohibited charter flights over its airspace, harassed Islands-bound cruise ships, and withdrawn from marine conservation efforts that were mutually beneficial. At the same time, he even-handedly discusses both the achievements and weaknesses of local society, where the standard of living has risen dramatically since the 1980s but, while some local entrepreneurs have earned previously unthinkable fortunes and unemployment is virtually non-existent, there is growing economic inequality. As the traditional rural way of life on sheep ranches has declined, the lifestyle has become more sedentary, and health problems such as obesity are becoming a concern. The oil industry is a potential threat to the abundant wildlife and maritime resources, but the Argentine government’s withdrawal from fishing agreements menaces the migratory Illex squid stocks on which the Islands’ prosperity depends. 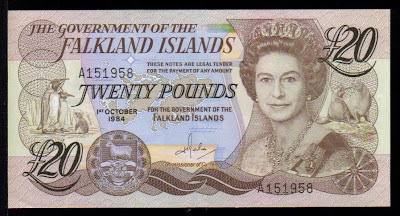 Until the recent selection of Pope Francis I in Rome, last week’s Falklands referendum in which Islanders overwhelmingly affirmed their desire to continue as a “self-governing British territory” made huge headlines in Argentina, where president Fernández and her administration went out of their way to dismiss its legitimacy – to the point of declaring that Falkland Islanders did not even exist. In his book, Bound stresses Islanders’ concerns that Argentina will continue to make things difficult and could even take military action; certainly, the Argentine government is deaf to the worries of a people who were outnumbered at least five to one during the 1982 occupation. To get an idea what the Islanders experienced, try to imagine Argentina occupied by the entire population of Brazil. It’s not just solidarity in the face of occupation by a brutal military dictatorship that suggests the Islanders are a people. In one chapter, Bound posits a “soul of the Falklands” to describe an hospitable lifestyle that, despite the dramatic changes since the 1980s, still survives. 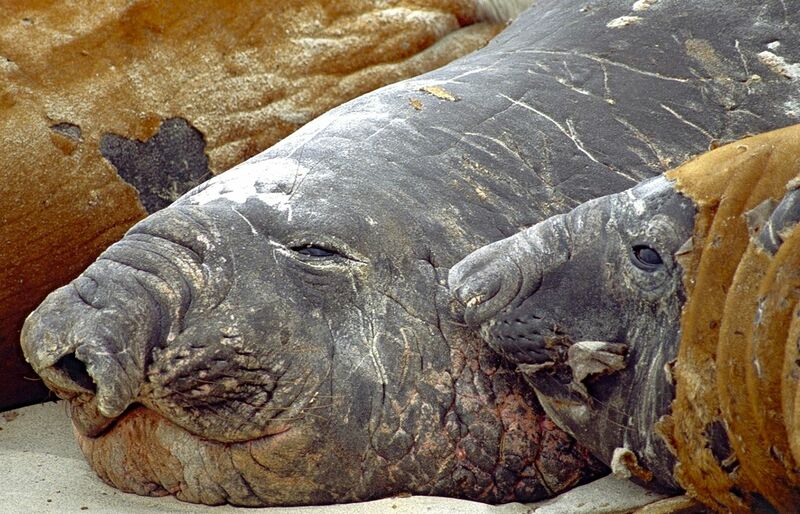 That began to change when I lived there, as some farmhouses became guesthouses for tourists intrigued by penguins, elephant seals and other wildlife - until then, it would never have occurred to anyone to charge a guest for room and board. I would have liked to see him analyze some ethnographic traits that characterize the Islanders such as, for instance, their distinctive accent. While not everybody speaks with a thick Falklands accent, there’s no doubt it’s unique: one Islander who worked on ships around the world told me that people often inquired about his accent, but no one was ever able to guess his origins. Difficult even for some native English speakers from other countries, it’s probably closest to New Zealand or Australian speech, but even that’s misleading, and there’s a local vocabulary that takes some learning. As it happened, Islanders voted by a margin of 1,513 to three to continue their current political status. On the basis of my own experience there, I would say this was no surprise, even if it led to speculation or even gossip, in a small community, as to the dissenters’ identity. It’s worth adding that “No” votes not did not necessarily favor Argentina – rather, the voters in question may believe in independence or some other option. Personally, I know quite a few Islanders, some of them mentioned by name in the book, and I consider the near-unanimous results credible. In fact, I can think of at least two Argentine residents (with dual nationality) who I would be pretty sure voted “Yes.” The last time I was in Stanley, there was even one Argentine woman in the local police force. Even given the obvious hyperbole, I view any Argentine military action as improbable and, in a recent email, Bound agreed that he may have overstated the possibility of another invasion. Argentina will continue to try to isolate the Islands, though, perhaps even withdrawing permission for the weekly LAN Airlines flight from Chile (Bound mentions a surprising local proposal to seek an alternative airlink from Miami, which could avoid overflying Argentine air space). 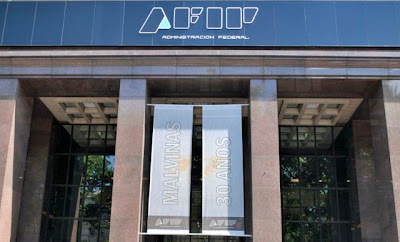 Meanwhile, it’s certainly ironic that Buenos Aires's AFIP tax agency has ruled that Argentines who travel to the Islands will have to pay the 20 percent surcharge on foreign currency credit card purchases there. 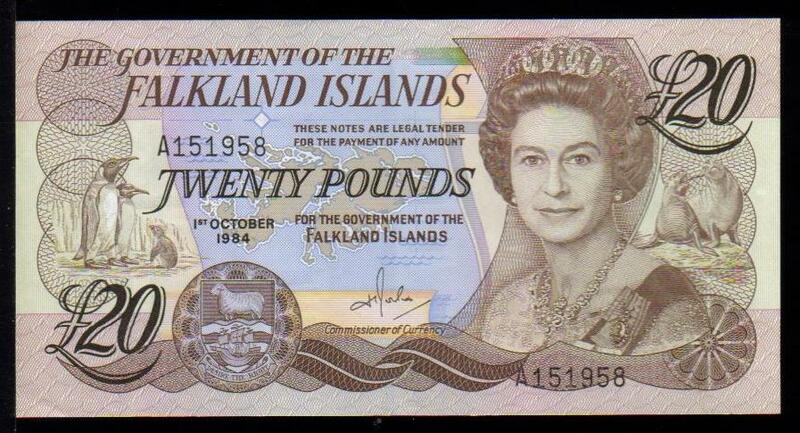 Supporting the notion of a self-governing territory, the Islands have their own banknotes and coins, at par with Sterling, but those are not legal tender in the United Kingdom (though, returning to the UK in 1987, I did use Falklands coins in London vending machines). Still, any rhetorical retreat on Argentina’s part is unlikely, at least in the near future. As Spinal Tap’s Nigel Tufnel might say, the volume could go up to 11. For readers in the Southern Cone, Fortress Falklands is available in translation as Fortaleza Malvinas, at least in bookstores in Uruguay, but also online at Uy Libros.